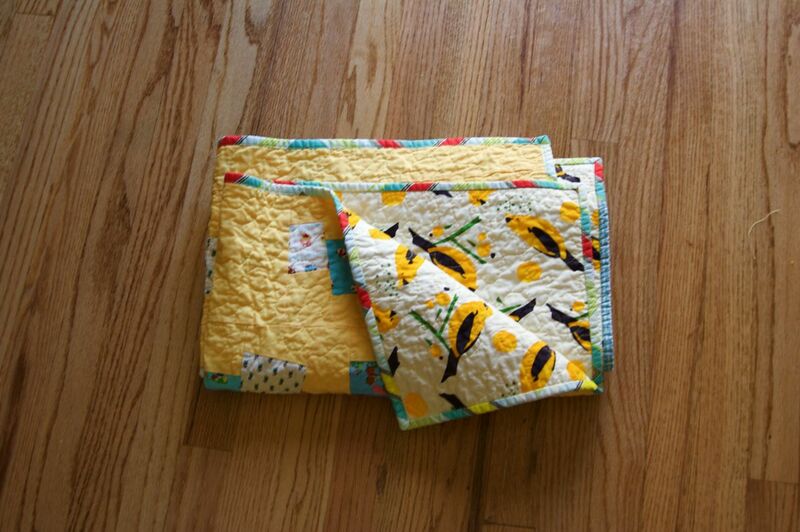 I went ahead and finished up this quilt last night (even with several christmas projects on my to-do list). it will soon be available through an online charity auction. 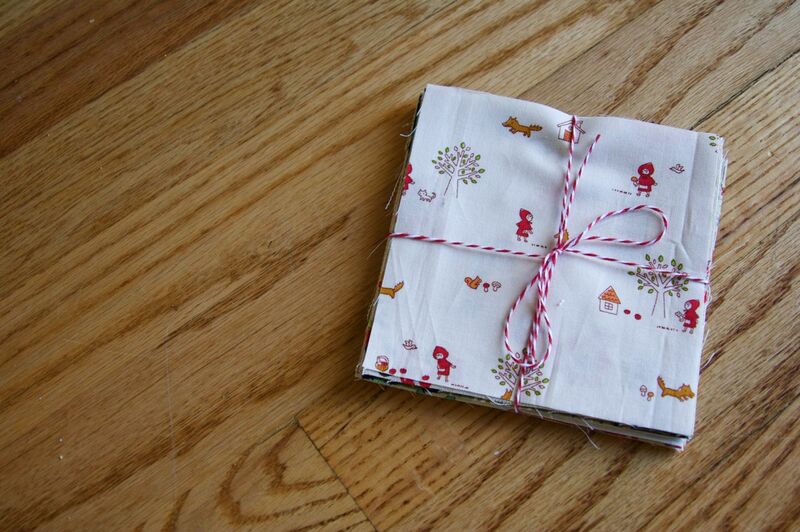 i've also listed some little red ridinghood charm packs in my etsy shop. You are so good. This is really cute and unique. Love the blue and yellow. It's a beautiful quilt! 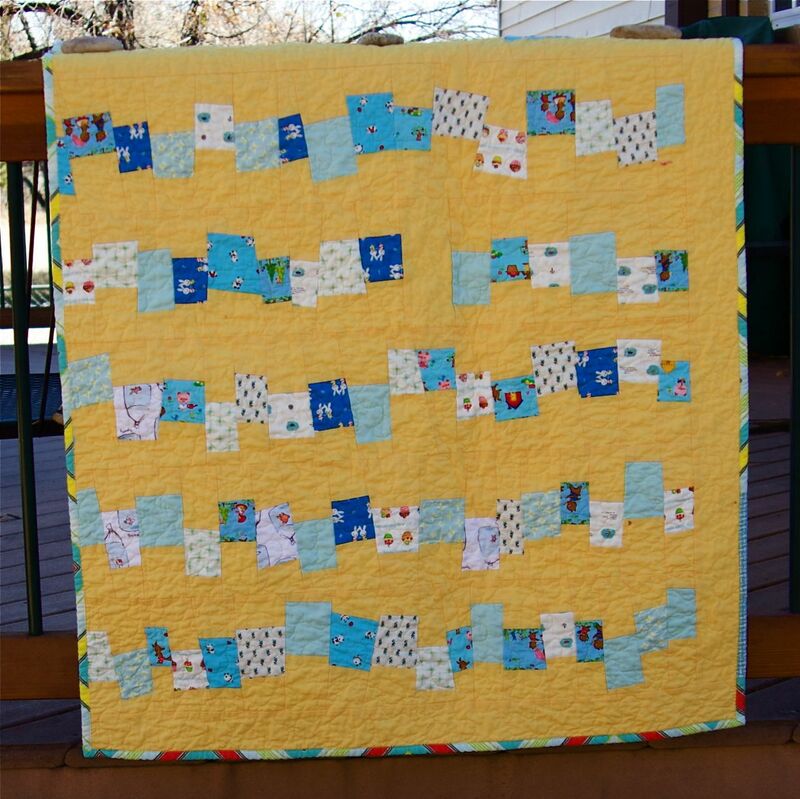 I love the wavy patchwork strips and I love that yellow background. What a fun project to finish! Love it! Gorgeous colour choices! oh those birds are my favorite. i have been hoarding them for ages....this quilt is really cute. Really cute design and great color! Thank you so much for showing it! What a sweet quilt. 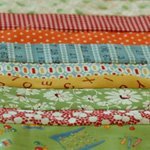 How wonderful of you to be quilting for charity! I love this quilt!! Gorgeous!!! I just don't know what to love most about this quilt! ....the pretty pop garden binding...the birds on the back...or the cute front!? 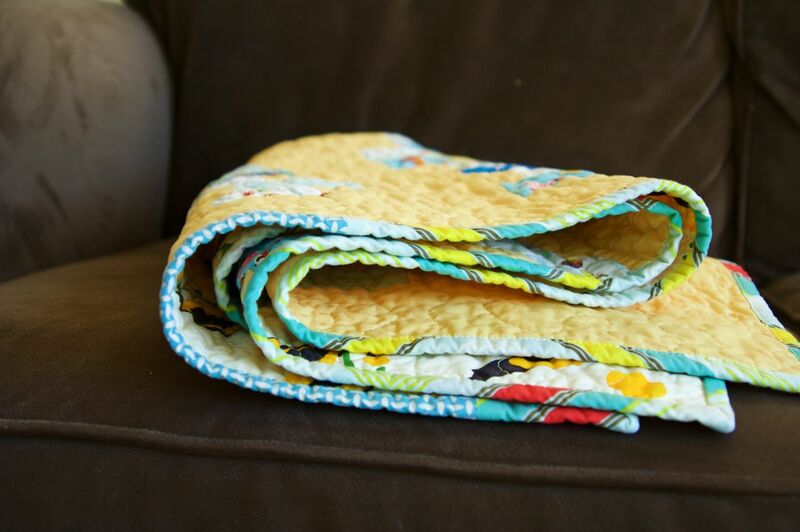 You're sure finishing a lot of quilts lately. ...so fun for us to see them! I just love that quilt...It is beautiful! So beautiful and so original! I love it! So cute...love the yellow background. yellow and blue are such a happy combination. 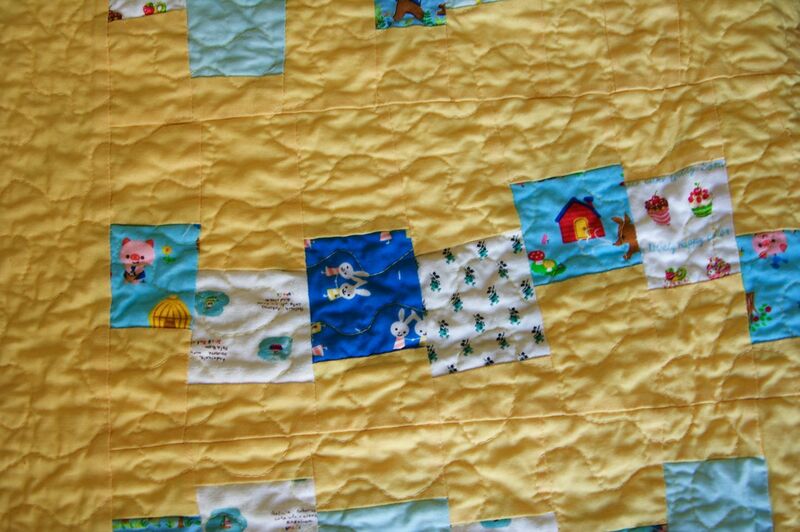 I hope your quilt brings in lots of bids at the auction. I can't take my eyes of this quilt. The colors are amazing!The critters in there are too cute! I love the quilt and I love the inspiration. I SAW that pillow down at the quilt loft and the picture is on my phone. You did a SUPERB job. Have fun with V! There are a lot of tourist spots in Argentina and here's a place where you could stay when you visit there. 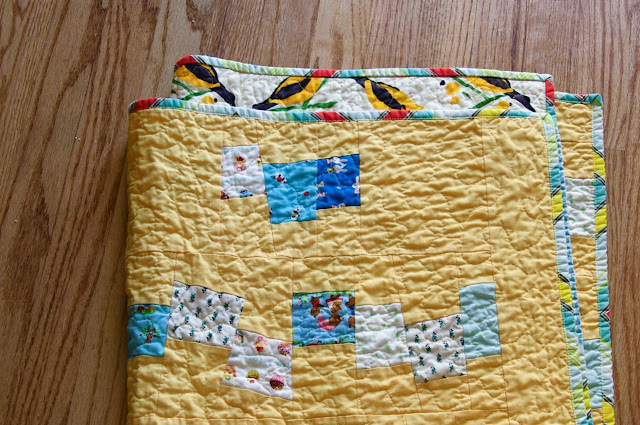 Where did you find the bird fabric for the back of this quilt? It's adorable. THanks for any information. It's by alexander henry--birdseed. It comes in several different colors. good luck.